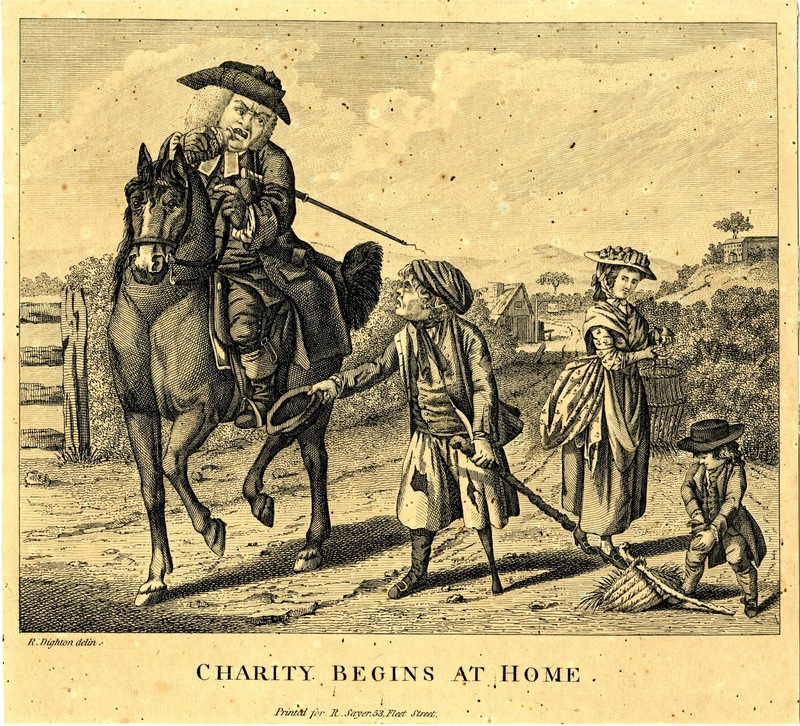 Charity Begins at Home, Robert Sayer, c.1780, British Museum. 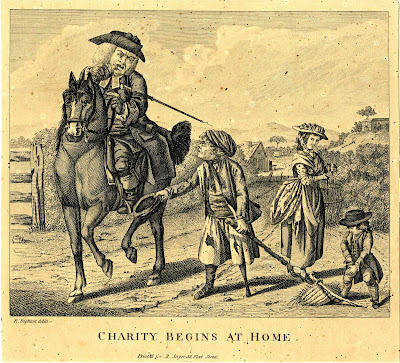 Echoing the parable of the Good Samaritan, a pompous reverend turns his nose up at a begging sailor and ignores the needy woman and child beyond them, all while raising a flask to his lips. Such a message hardly requires any further reading. The metaphor is surface level and effective. At the center of the piece, and drawing the first tug of sympathy, is a ragged sailor. Jack holds out his round hat with a very narrow brim for a few spare coins. Interestingly, the tar's head is not bare; he wears a workman's cap. His single breasted short jacket ends just below the waist, is lined in white, with open mariner's cuffs. Beneath is a waistcoat without a cutaway that ends at the waist. Our tarpawlin's slops are torn to shreds, but enough to cover him all the way to below the knee. 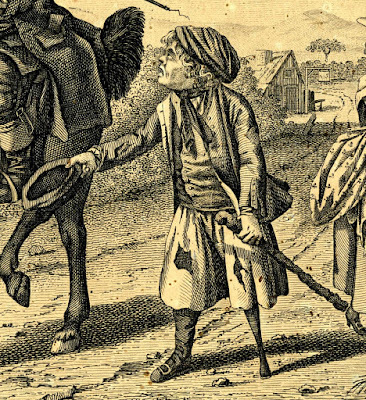 From there we see his peg leg, and a black stocking on his one good leg. In his opposite hand he holds a cane or cudgel.